This is the first of a three part "Best of 2011" feature. I've been fortunate enough to sample dozens of sauces from so many great companies this year. As the year comes to a close, it's time to look back and highlight the best sauces of 2011. I've ranked the sauces in a variety of categories. 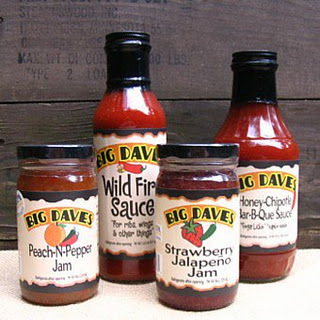 I've also chosen ﻿a few select sauces as the best of the best. Only sauces that were officially reviewed on The "Q" Review during the 2011 calender year are eligible. If you sent your sauce and it has NOT yet been reviewed, it will be eligible for our 2012 countdown. Some of the categories were incredibly difficult to rank. Mustard Sauce, for example was virtually a three way tie. The Mild Tomato category was loaded with great options. Stage Coach Sauces Bonafide BBQ, Demon Pig Original and Squealer's Sweet & Smokey didn't quite make the top three, but are awesome sauces that I wouldn't hesitate to recommend. Additionally, several other great products like Momma G's Cooking Sauce, Kozlowski Farm's Chipotle Grilling Sauces and Bill's Best deserve special mention. Without further adieu, here are the best sauces of 2011. 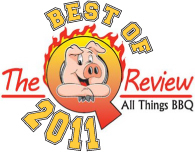 Be sure to check The "Q" Review for other "Best of 2011" features coming up shortly. 2 Response to "Best Sauces of 2011"
Hey now! A great roundup of some awesome sauces there Derek. I've had quite a few of them myself, and see a few that I'd love to try out. Thanks for the feedback Brian. I really appreciate it. I enjoy reading your site as well.